Intel has joined the Alliance for Wireless Power (A4WP), a consortium founded by Qualcomm and Samsung, as the chip maker looks to bring wireless charging to tablets and laptops. Another member of A4WP is Integrated Device Technology, which is developing wireless charging chipsets for laptops, tablets and hybrids running on Intel chips. 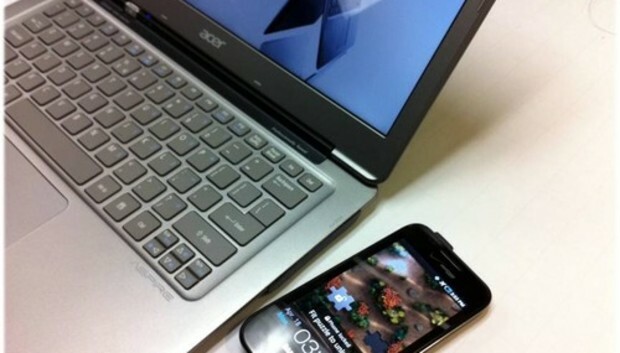 Intel hopes to make wirelessly charging a smartphone and tablet as easy as putting the device close to a laptop. Intel has dubbed its wireless power offering as Wireless Charging Technology (WCT). "Although we are not yet giving out timeframes for consumer products with WCT enabled, IDT has stated they will be delivering their full chipset solution for reference design work in early 2013," Intel representative Dan Snyder said in a blog entry in August last year. A4WP in January this year released wireless charging specifications based on near-field magnetic resonance technology, in which users can recharge multiple mobile devices without placing them in direct contact with charging pads. Qualcomm, which makes chips for smartphones and tablets, has released its own WiPower wireless charging technology based on A4WP specifications. Samsung has joined multiple wireless charging specification organizations including Wireless Power Consortium, which developed the widely used Qi specification, and the Power Matters Alliance, which is working on a wireless power specification called Power 2.0. Intel hopes wireless charging devices and laptops running on its chips will differentiate its products from rival offerings. Intel will work with A4WP member companies to develop the standard and products, the chip maker said in a statement.